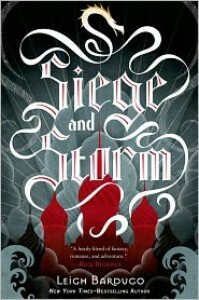 This review and others on my blog My Friends Are FictionThe Story:Siege and Storm picks up shortly after Shadow and Bone left off. It took me no time at all to be completely immersed back into the story. I expected that like a lot of second books there would be a good amount of reading before any of the action or story progression occurred, but Bardugo wasted no time.The entire book had me captivated and I would even say that this was a stronger story (maybe) than Shadow and Bone. Both books are perfect examples of an expansive and creative world populated with diverse characters. I am impressed and surprised with the turns the story has taken.The Characters: Bardugo really explored Alina and Mal's character growth in the way they are dealing with their roles and identities alone and with each other. Bardugo does a beautiful job balancing her character's desires and responsibilities and showing the reader the pain and agony associated with not wanting what your future might hold. It was an emotional journey watching Alina accept herself as the Sun Summoner and realizing that she is not normal and will never be the Alina of before.Bardugo introduces a new character, Sturmhond, who adds a touch of humor. I immediately loved his character and think he added a great dynamic to the overall story. 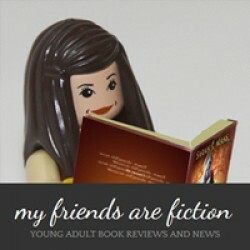 I can't think of any character from Shadow and Bone that was not accounted for in this latest installment. All continue to have depth and unique personalities.Romance is a factor but not really in the forefront of this book. I was happy to see how realistically Bardugo represented Mal and Alina and the issues they would be dealing with in their situation. The Darkling has an important role, of course, but he is spoken of more than actually present.I have to commend Bardugo on creating characters with such depth and personality that I worry about them and sincerely fear for their fates. My concern is not exclusive to only the main characters.Final Thoughts: I fell in love with Shadow and Bone so I had almost unrealistic expectations for this follow up and yet Siege and Storm met all of my expectations and even exceeded them. I will read anything Bardugo writes and she remains one of the best fantasy writers out there.